Experimenting with art and creativity in a collaborative piece is a fantastic way to explore augmented/mixed reality! My wife and I visited Onedome’s Unreal Garden in San Francisco and I think it’s a shining example of combining art and AR in a beautiful way. 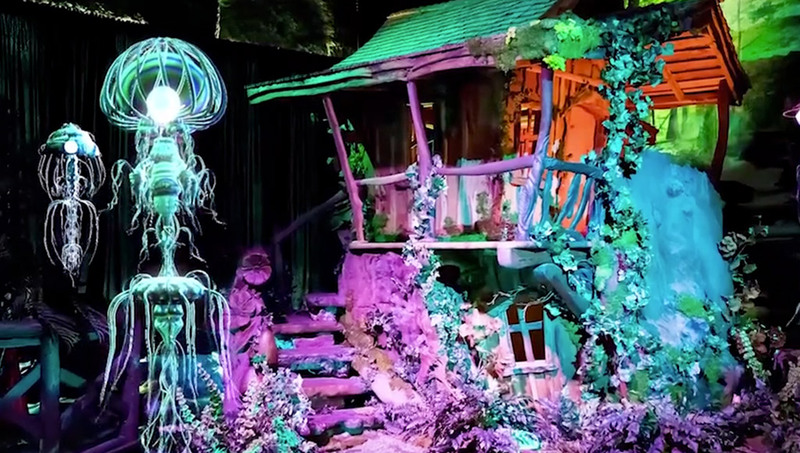 The Unreal Garden is a wonderful new art space on Market Street in San Francisco. It provides a beautiful, serene and magical space for a range of artists to showcase original work within augmented reality. 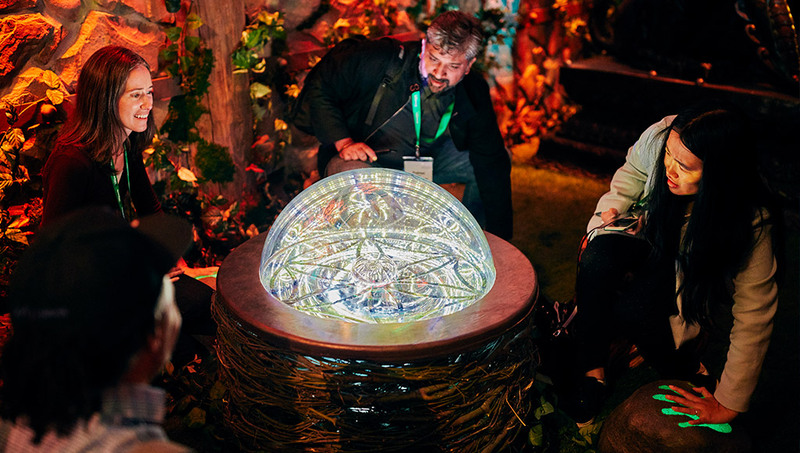 In order to experience the hidden world within the garden, you’re told you must put on a Microsoft HoloLens and share your energy with the environment around in order to bring it to life. Each art experience has an augmented frog waiting in front of it and the moment you hold your finger up to the frog (transferring your energy), the experience comes to life. The augmented energy ball illuminating from my finger was entertaining enough to have me staring at my finger longer than I think I ever have before! Each of these experiences is put together by a different artist and has its own distinct style — yet they all fit together so well in a fantasy world where anything is possible. Even as someone who has had plenty of augmented reality experiences in the past, Onedome’s exhibit kept me curious from start to finish. They were able to work around some of the limitations of the HoloLens (such as the smaller field of view) by making it a part of the experience — you were peeking into another dimension, exploring it through a smaller, rather tech-savvy looking glass. There was still a few moments with the smaller field of view where I missed some of the action, such as when I was looking at the wrong spot as a flower bloomed just outside of my field of view. With the HoloLens and others like Meta and Magic Leap working away at improving augmented reality technology, this is only going to get better with time. The space prior to entering The Unreal Garden area itself also had a Tiltbrush set up for people to draw in 3D (gotta love Tiltbrush!) and a few other cool exhibits such as a half dome that responded as you placed your hands on rocks. A neat concept! Leila Amirsadeghi, CMO/CXO of Onedome, was kind enough to answer some questions I had about the exhibit, here’s a bit more of a deep dive into their project. One thing I was curious about was whether every artist had to learn to create their style of art within a digital, compatible format for the piece. For the current art pieces within The Unreal Garden, it turns out most artists involved did not have digital experience. In order to bring the unique perspectives of these artists into the space, each artist had an original piece of art which the team at Onedome then converted into an augmented reality/3D version. The aim was to find original artworks across all mediums that worked with the theme — “Life Unrestrained”. They also needed to work well in 3D! Each artwork is then placed throughout the exhibit ready to be brought to life by passersby. All the spatial tracking side of things is handled by the HoloLens as it provides the mechanism for scanning a space and anchoring the content in place. 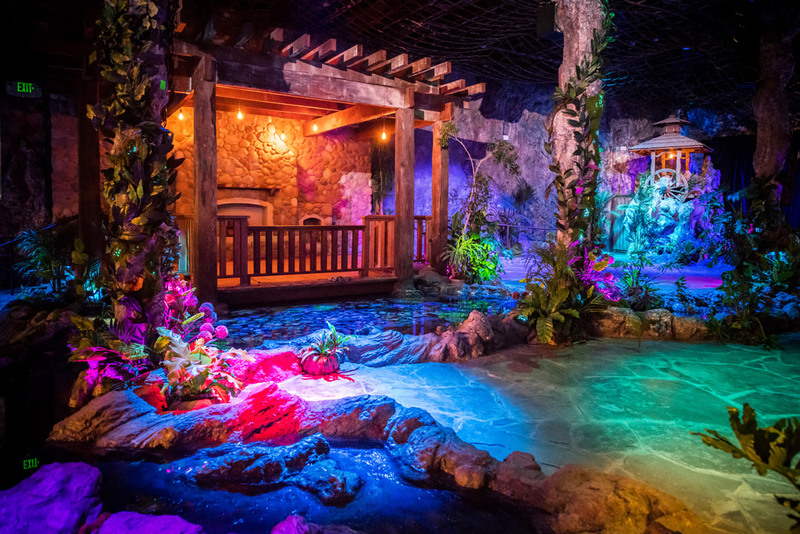 However, The Unreal Garden itself is powered by Enklu, an online platform for the collaboration and creation of location-based entertainment experiences in AR. The Unreal Garden real world set up is stunning even without AR! The Unreal Garden and Onedome are planning to have future exhibits from other artists over time, so if you are an artist and this concept has your creative mind aflutter, send an email over to artists@onedome.global! If you’re based in or around San Francisco and have an interest in art or emerging technology, this is worth checking out. 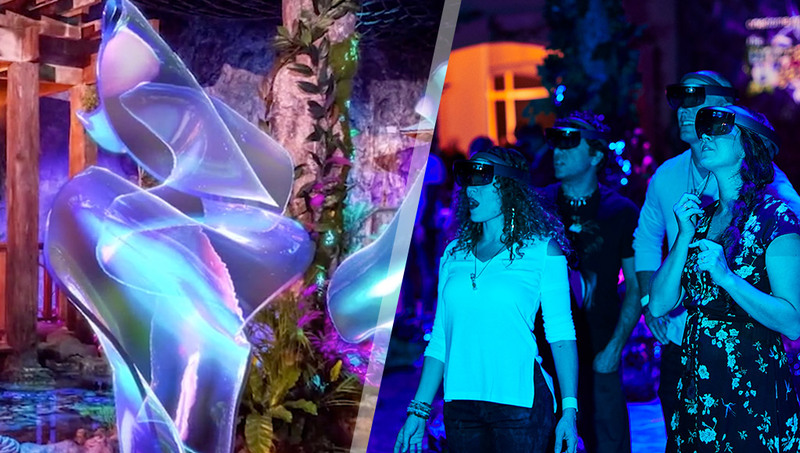 Head to The Unreal Garden’s website to book a ticket and explore the garden for yourself! A very big thank you to Onedome and the team for organising for my wife and I to experience the exhibit and to Leila Amirsadeghi for taking the time to answer my curious questions!